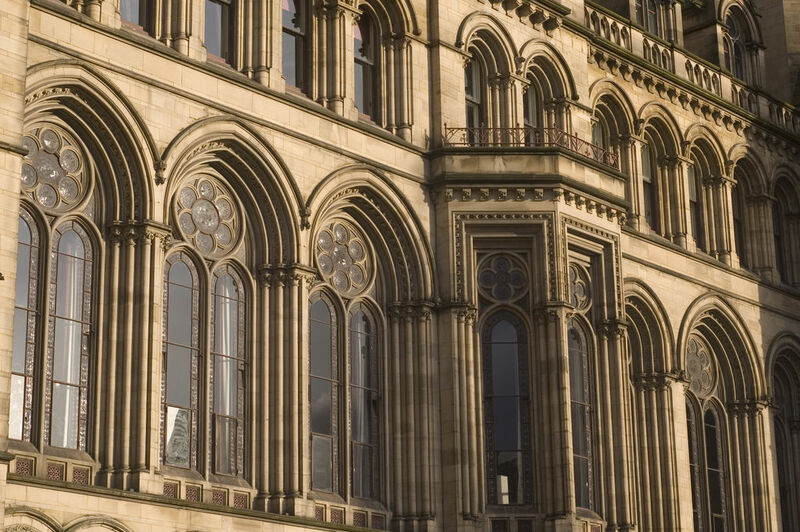 This Revival Gothic-style town hall was built between 1868 and 1877 by Alfred Waterhouse. 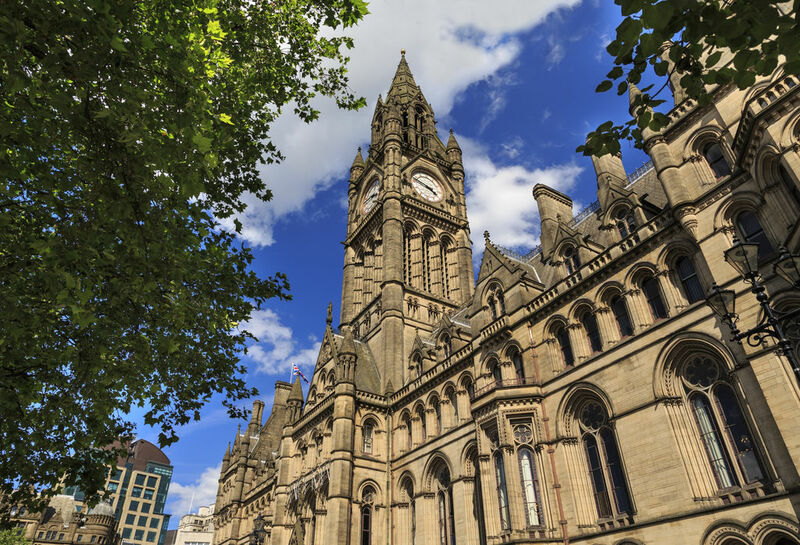 Its clock tower rises 85m above the pedestrian area of Albert Square. The main hall, which boasts a concave ceiling, is decorated with 12 Pre-Raphaelite frescoes completed by Ford Madox Brown from 1876-78.